When wildlife observers at Yellowstone National Park noticed bear activity around a natural swimming hole deep in the backcountry, they set up some trail cameras to learn more about the visitors. 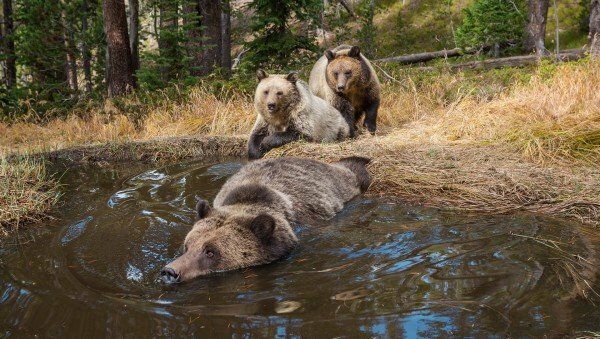 What they caught on camera is shedding new light into the behavior of grizzly bears as they play and bath in the spring. Several groups of bears made their way to the swimming hole some for a drink or just to cool off. Watch for yourself this adorable behavior from National Geographic.